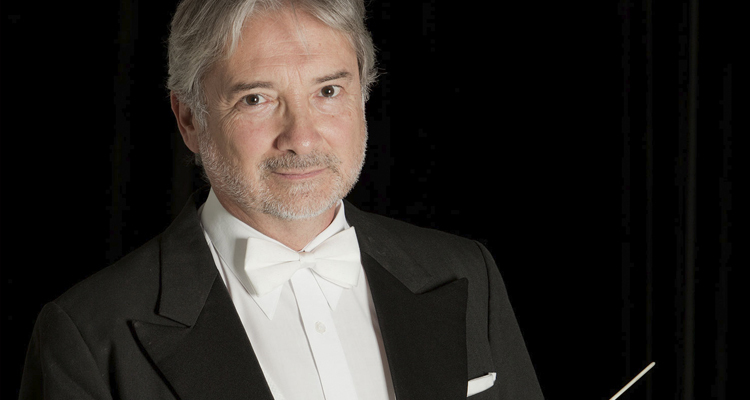 “A musician with a unique temperament, perfect balance between technique and musicality, great musical authority, elegance and vast experience, the Chilean-Italian orchestra conductor has led with aplomb the more than 60 orchestras he has conducted in the 5 continents”. These specialist’s comments were made in Bucharest, where maestro Rettig is the Principal Conductor of the National Radio Orchestra of Romania. He is also Music Director of the Medellín Philharmonic in Colombia and the Maule Classical Orchestra in Chile, and in 2018 he became Principal Associate Conductor of the Concepción Symphony Orchesta. He received his academic instruction at Cologne’s Musikhochschule, Germany, where he graduated with the highest honors in orchestral conducting, piano and composition. He was also a student of the great maestros Hans Swarovsky, Sergiu Celibidache and Franco Ferrara. He has been awarded and acknowledged for his work in Latin America, Europe, USA and Asia. For ten consecutive years, he has been chosen as the best conductor of the National Symphony Orchestra in Buenos Aires. He has worked with this ensemble for more than twenty years, and conducts it regularly at the “Ballena Azul” concert hall. Maestro Rettig is internationally renowned for his performances of German post-Romantic repertoire, particularly Mahler’s and Bruckner’s works. In 2015, he was awarded for the second time the Víctor Tevah Prize, a distinction bestowed upon the best conductor of the Chilean Symphony Orchestra seasons, as well as the Art Critics Circle’s Prize for his performances of Mahler. Maestro Rettig was Music Director of the Chilean Philharmonic and Chilean Symphony orchestras and, for 12 years, Music Director of the Bogotá Philharmonic in Colombia. His work was acknowledged with the Order of Merit in the degree of Commander by Bogotá’s Council and Mayor. In the lyric art, he has conducted in major theaters in Germany, México, Chile, Italia and Australia, and has participated in Buenos Aires’ Colón Theater during the last 10 seasons.